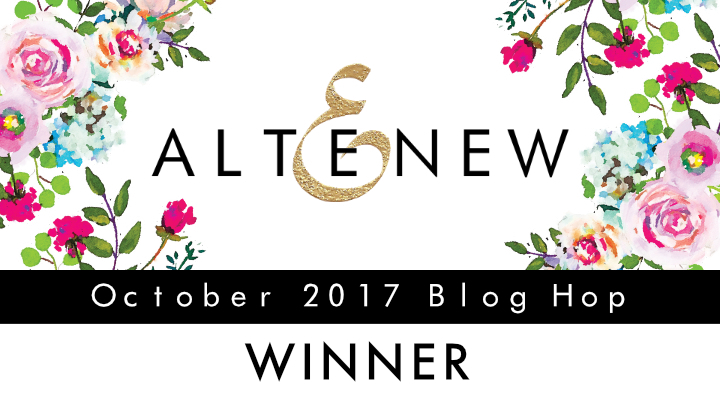 and my monthly Altenew giveaway. A big thank-you to those who stopped by and left me wonderful feedback and comments. Wow you've been super busy! I just love love love the layout! My kids have also gone to see Thomas when my son was very little he loved all things trains and especially Thomas. Riding Thomas was such a joy with him and a memory I will always cherish. My monthly Altenew giveaway, I randomly selected a comment from this Altenew post. Oh, I just love your card! The colors are the tree are just gorgeous and that background is the perfect setting for the tree! I love how you angled the dots leaving some of the background plain. I love EVERY SINGLE THING about this card!! Congratulations, Lisa's Creative Niche and kathymcc! Please e-mail me (becr8ive2@gmail.com) to claim your prize. If the prize is not claimed by Nov. 7th, another winner may be selected. Now may I suggest fabulous items that may interest you? Also, don't forget to check the Altenew SALES item here. PLEASE help me test my affiliate links---->if anyone uses my listed links (click items and add to your shopping cart) to make a purchase, please e-mail me becr8ive2@gmail.com with the shop and order no. I made a sample card and this. was. IT! The session was divided into a 3-step process: floral background, layering dies and stenciled details. I have never actually run a Make and Take before, but I sure have attended plenty of them. 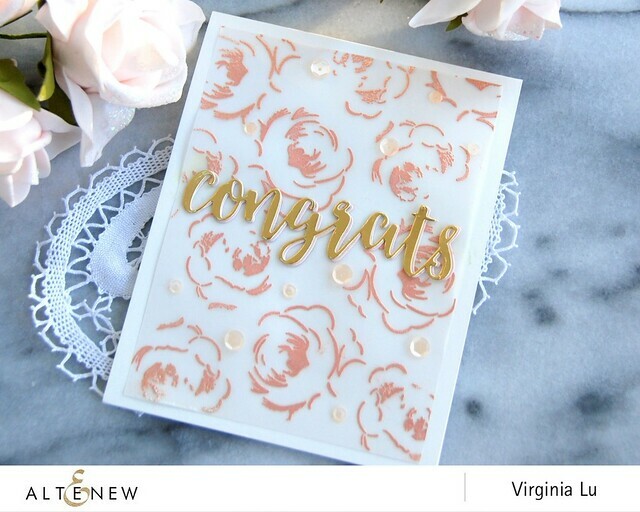 It's a delicate balance to keep the project easy and interesting for attendees who are in all levels of stamping (from novice to advanced). 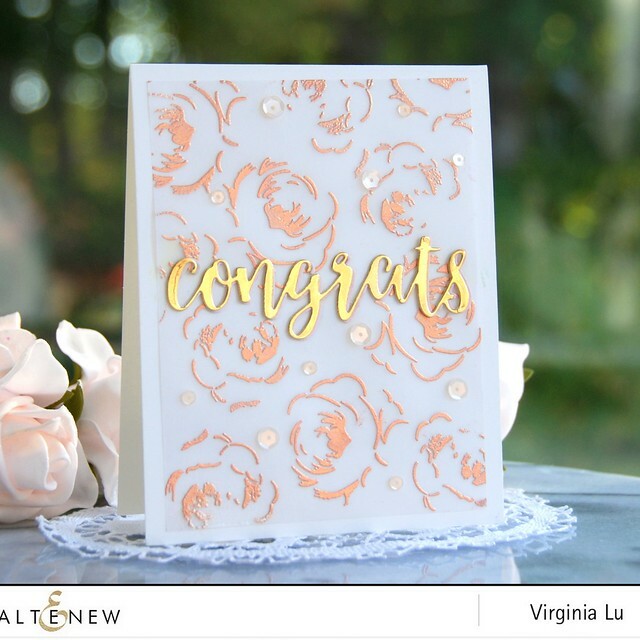 Step 1: for the floral background, I used "Just Because"
(shop Altenew here, shop Simon Says Stamp here). Step 2: Layering Dies as the focal point. Noticed some of the crafters came up with a slightly different design of their own? LOVE that! And because Altenew is super generous....no one went home empty-handed! The croppers all went home with a prize! We are hoping to do more events like this. simply click on the photo and it will take you right to the source. (use promo code "HARVEST" to have $5 taken off). I appreciate that you use my affiliate links to do your shopping. This will not add to your cost. In return, it will help me to continue to share and run this blog. You can see my affiliation here. Today's card is consisted of assorted leftover pieces from other projects. I call it "eclectic" style! Can you see there is all sorts of shapes going on? There are also two stamp sets that I used. It took me some time to find placement for each odd piece and made them fit. Other than that, this card is pretty straight forward. If you like how I used these products and want to purchase them, I 'd appreciate that you shop through my affiliate links at no additional cost to you. Use promo code "HARVEST" to get $5 off over Simon Says Stamp..
Also.... this hot item is back in stock over Concord and 9th. 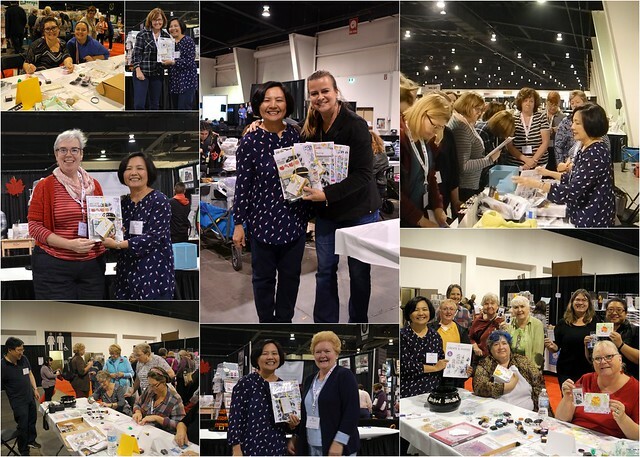 Lastly, the Make and Take session at the ScrapFest Creative Festival was a success! I am proud how it turned out as I have less than a week to prep for this event. BIG thanks to Dr. John for chauffeuring, taking photos and keeping tracks of the giveaways... etc! 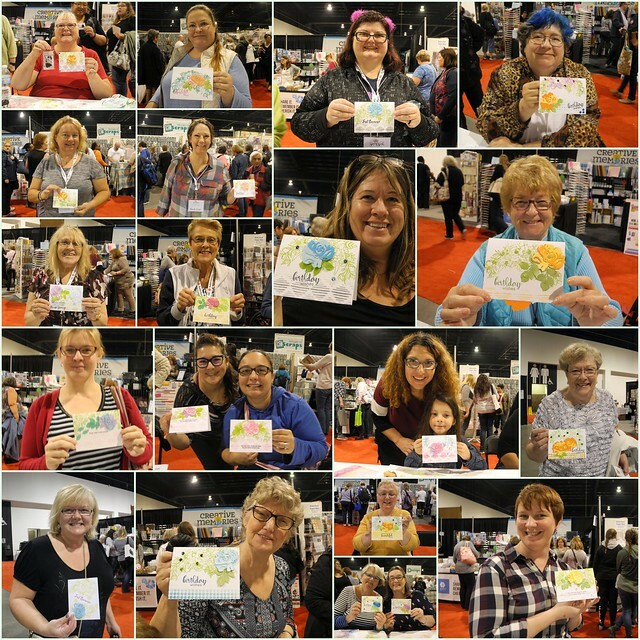 Look at all the happy crafters! 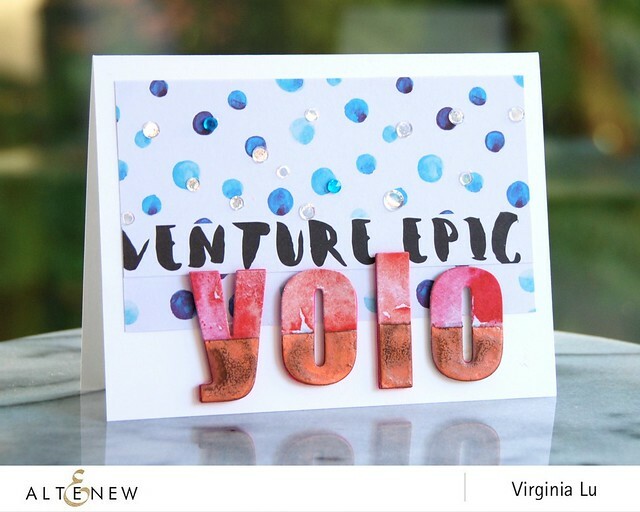 I am popping in with a post about using this awesome die from Altenew. It is designed to line up the inside of the envelope. This die set has so much to offer. I only used the star die. 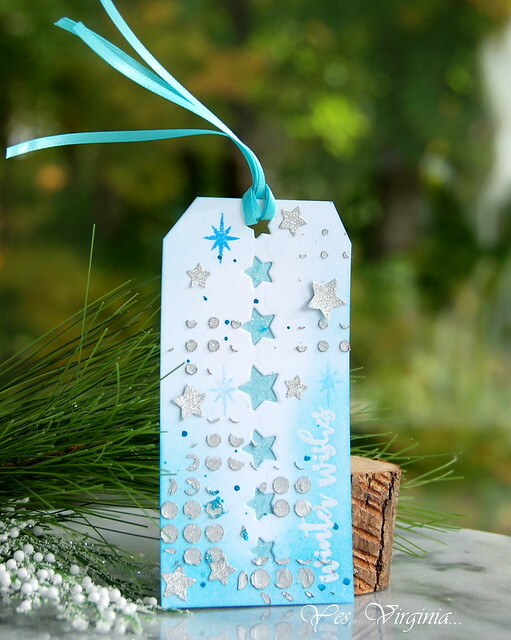 I started out with die cutting the stars right in the middle of the tag. Normally I would die cut it on the edge, but I thought it would be nice to try something different. Once I did that, I layered another piece of card stock underneath. 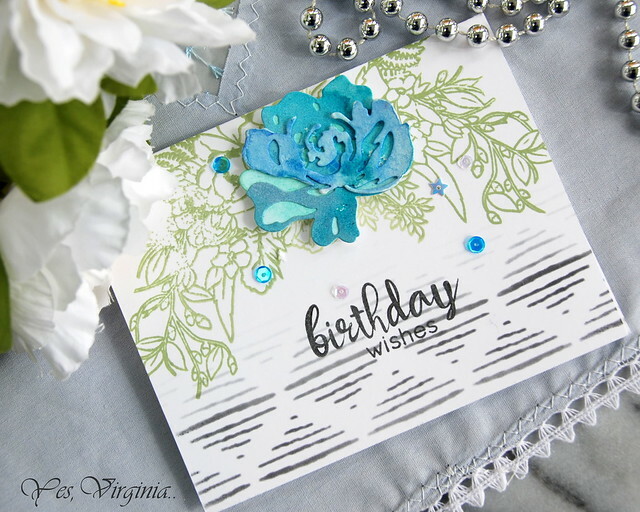 I added some textures with Silver embossing paste. I think Halftone Stencil is my all time favorite stencil... just saying. 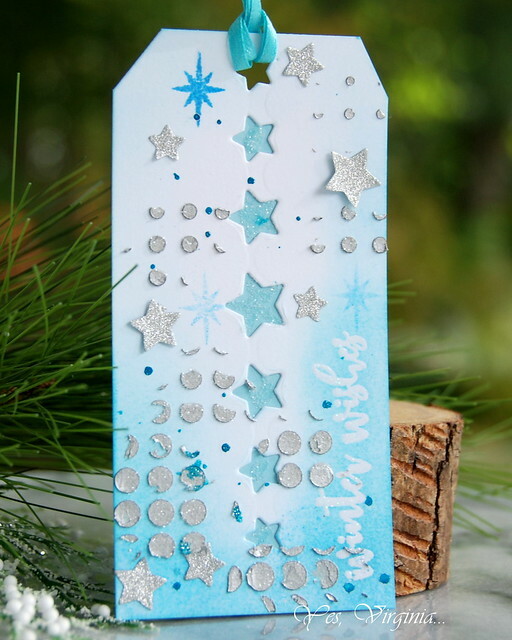 I also used Darice Sparkle Tape (Silver) to die cut the stars. The sentiment is from Night Before Christmas. I think I barely touched the surface for the Envelope Liner Die Set. 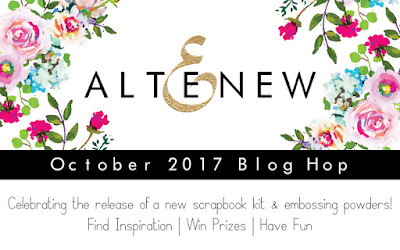 Have you checked out the new release from Altenew? Find out the latest over Altenew here. I will be using them for today's "Make and Take" at the ScrapFest Creative Festival. 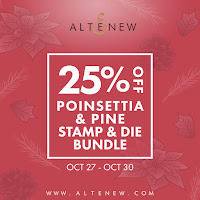 Shop Altenew's Poinsettia and Pine special here. 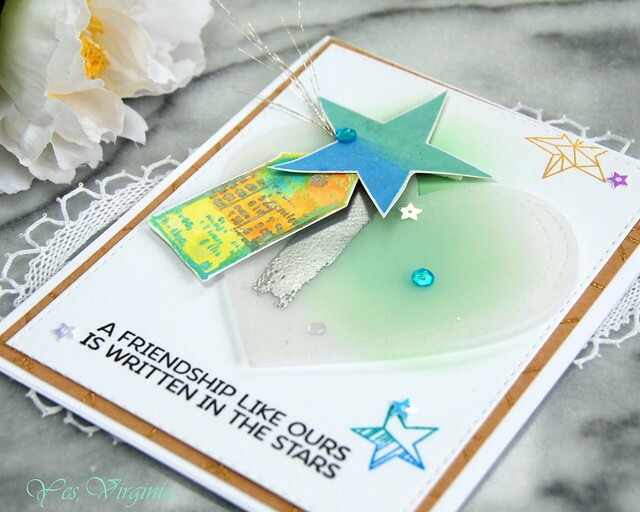 Shop the latest over Simon says Stamp here. Hello friends! I want to pass on a few sales info. Simple click on the photo and it will take you to the source. Spellbinders has some awesome Fall Clearance sales. Now how cool is this Couture Purse die? 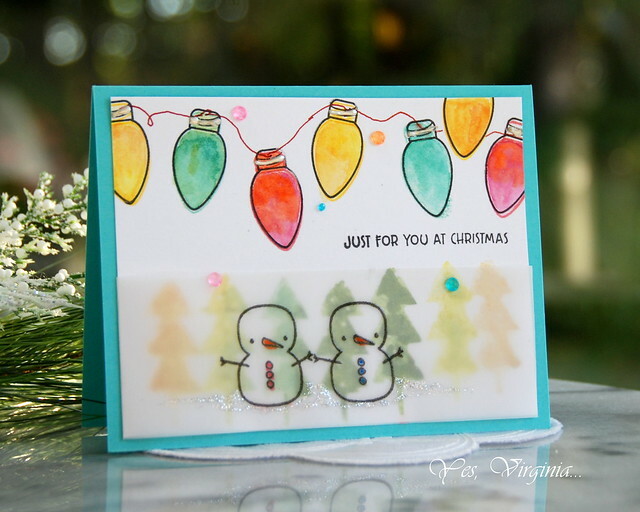 this gift box die will come in handy for holiday gift-giving. Concord & 9th still has a few items left for this month's release. See here before they are all sold out. Over Simon Says Stamp...this die is back in stock. 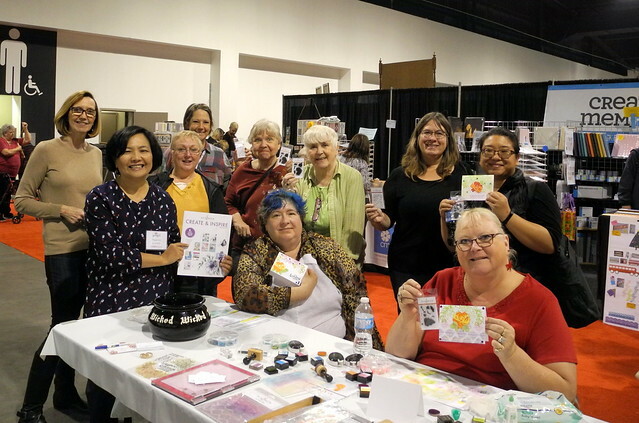 Sampling Watercolors and... a Craft Event! I am popping in to share my experiment with the Daniel Smith Paint samples. They are pretty popular and are now in stock over SSS. The first time I tried Daniel Smith Watercolor, I immediately love the colors! They are so rich and creamy... 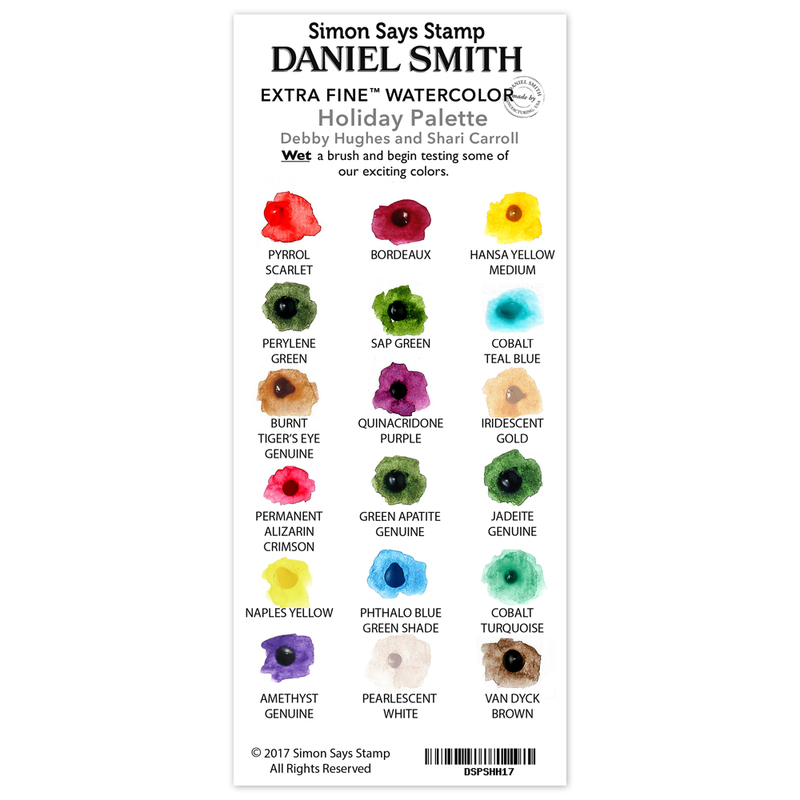 The first color sample was from part of the Simon Says Stamp Card Kit. When Simon Says Stamp comes up with two sample sets, I was eager to try them. You can see the entire Daniel Smith watercolor collection here. This set is full of cute images and the sentiments are awesome. 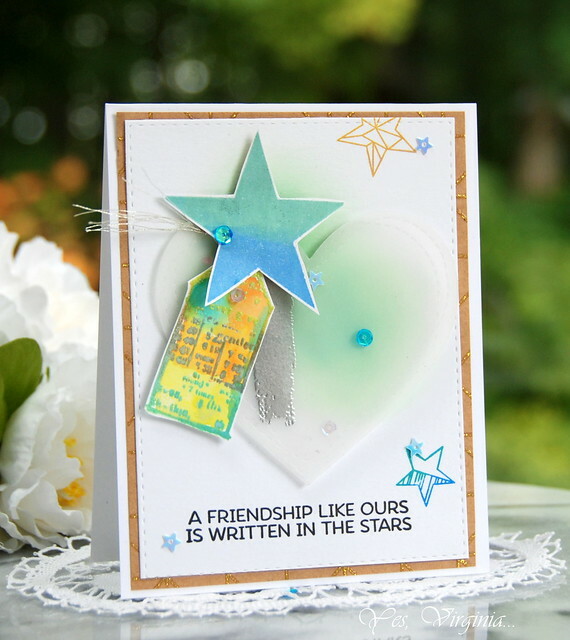 I love using Bazzill Vellumfor heat-embossing. All you need to do is to ink up the image in Versamark and add SSS Clear Embossing Powder and heat emboss....that's it! Those "little diamonds" sure look like CANDY! Use code HARVEST to get $5 off over Simon Says Stamp here. 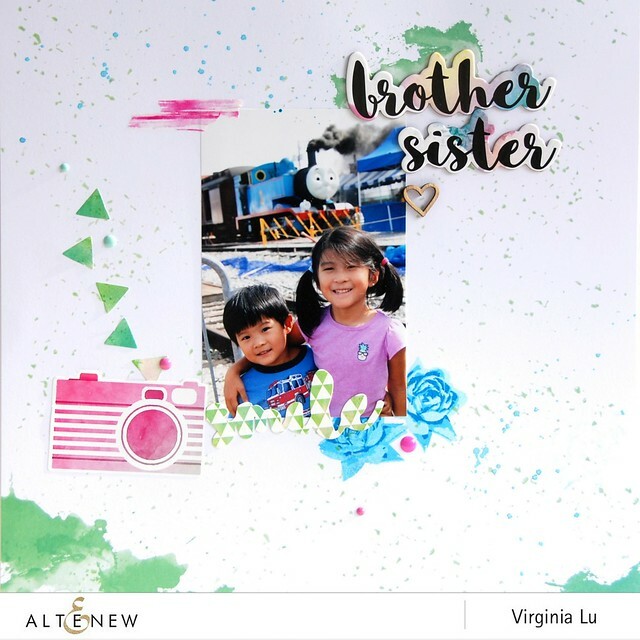 You can also purchase the latest Altenew release over Simon Says Stamp here. This event starts today and Saturday is the last day and I will be there from 10am till 4pm. Hello friends! This is my 2nd post today. I am delighted to share a few Altenew projects with the release. If you come from Flora Monika Farkas's blog, you are in the right place. 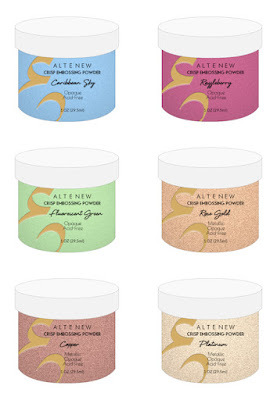 Altenew has done it again...these Embossing Powder (EP) are in gorgeous colors! 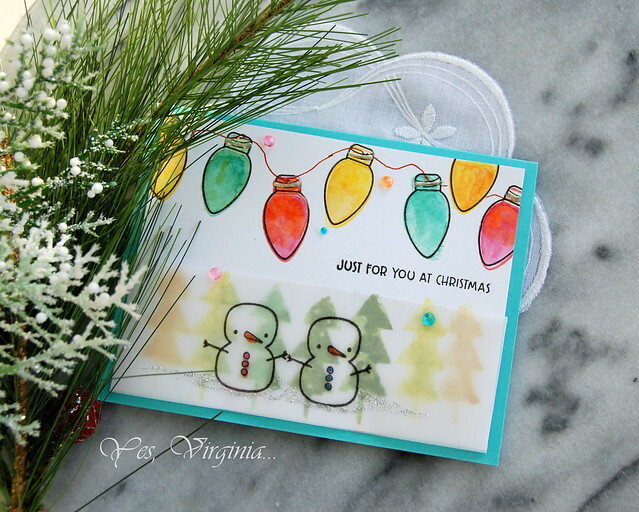 For this card, I did a two-tone embossing. 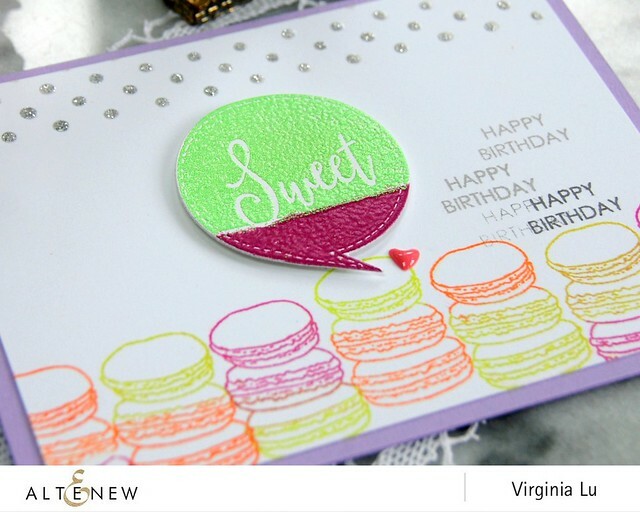 I stamped the Handmade Tags Stamps to stamp a colorful background. I also applied Warm Gray Ink over the Halftone Stencil to create the polka dots. The Tonic Silver Moondust was added for the extra sparkle. 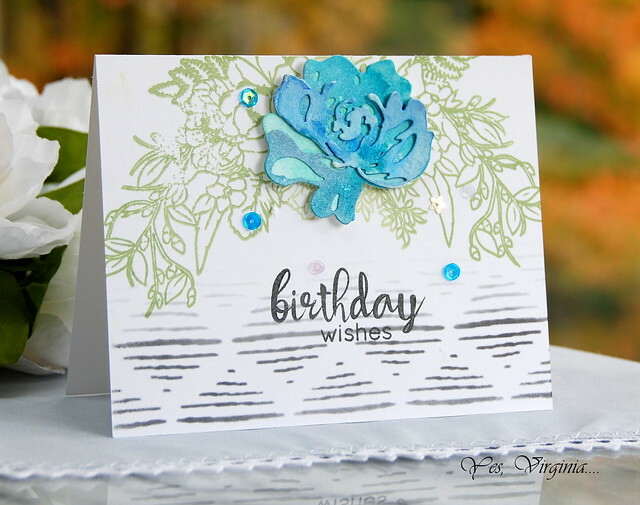 I embossed with one of the stamp set from Winter Rose on Bazzill Vellum. Aren't the embossed images amazing? 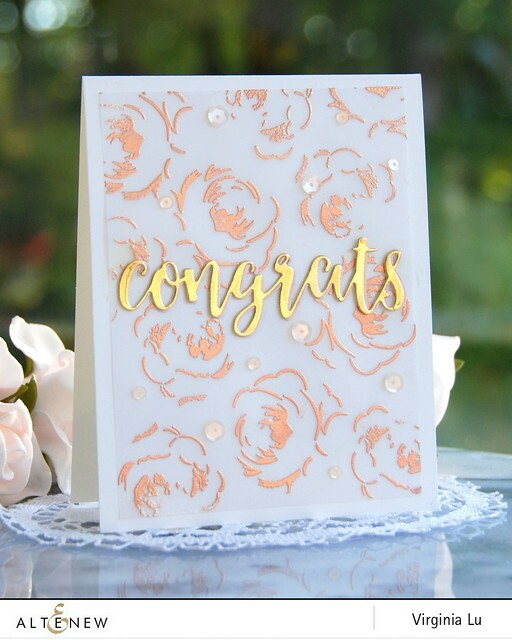 The sentiment was created with Script Words Die with the Gold Foil cardstock. The Champagne sequins are perfect for this! 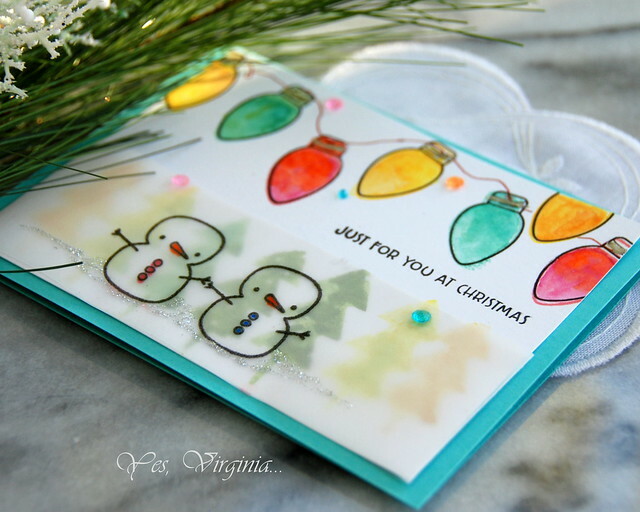 I did partial-embossing with the pattern paper from the Reflection Paper Pad. 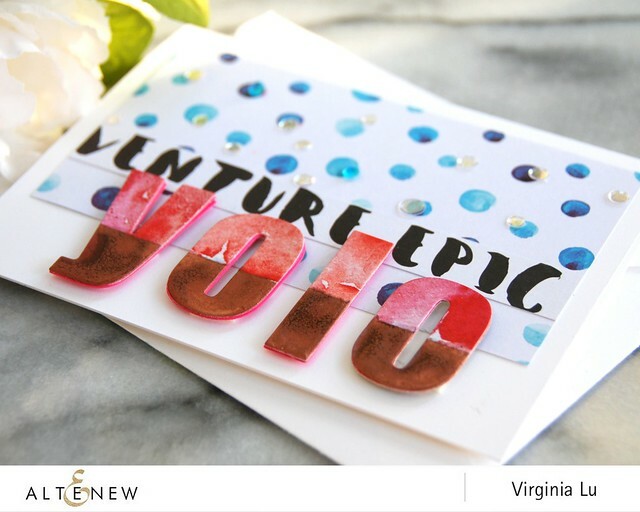 The TWICE Copper-embossed Bold Alphabet Dies with the red pattern paper looks so rich and beautiful! 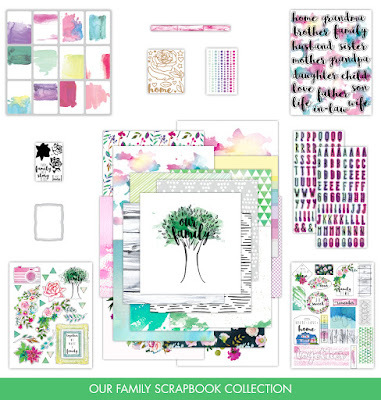 It is "Our Family Scrapbook Collection"! but dreading to make...like I do! Because life is busy....we can't possibly have a few hours just to make a page! 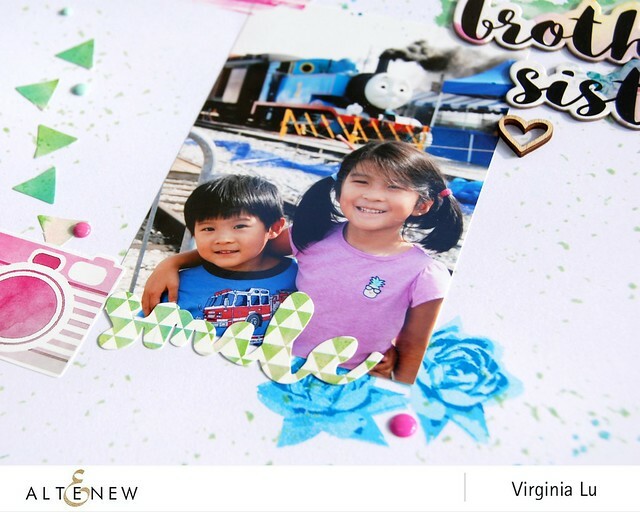 All the design paper, embellishment, stamps and die are designed to work together for your precious photos! Even a card-maker like me find it super easy to put the layout together. 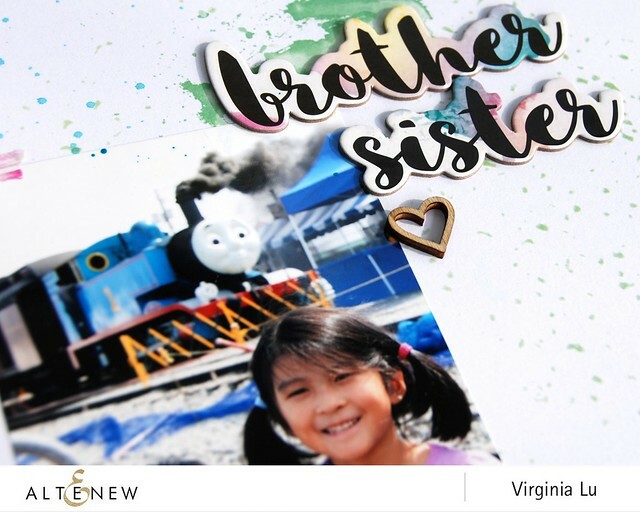 With my nephew's darling children's photo, I made this page within 30 minutes! The Chipbaord Stickers (included in the kit) makes this quick layout a child's play! I hope my 4 projects give you some inspiration and ideas about this release. You can find out all the release and info here. by Thursday, Nov. 2nd for a chance to win. Winners will be announced on Nov. 4th. Giveaway: for an extra chance to win a $30 gift certificate, please leave me a comment in this very post. 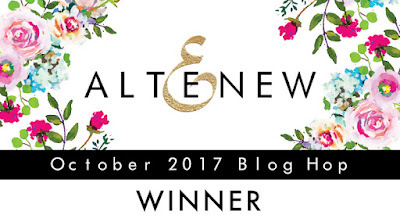 Winners will be announced on Oct. 31st right here in this blog. All products are highlighted in links like this. Your next stop is the fabulous Lilith Eeckels's blog. DIY Wreath Card ....Oh Deer!